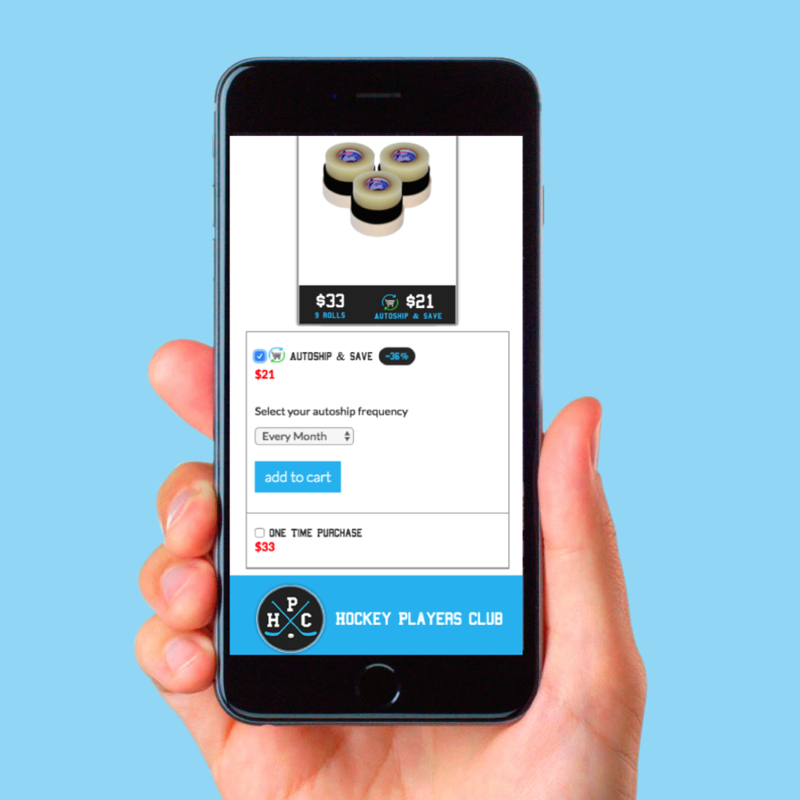 The Hockey Players Club is changing the way hockey players shop. We offer the BEST hockey products at UNBEATABLE prices with customer service that will make you say WOW! 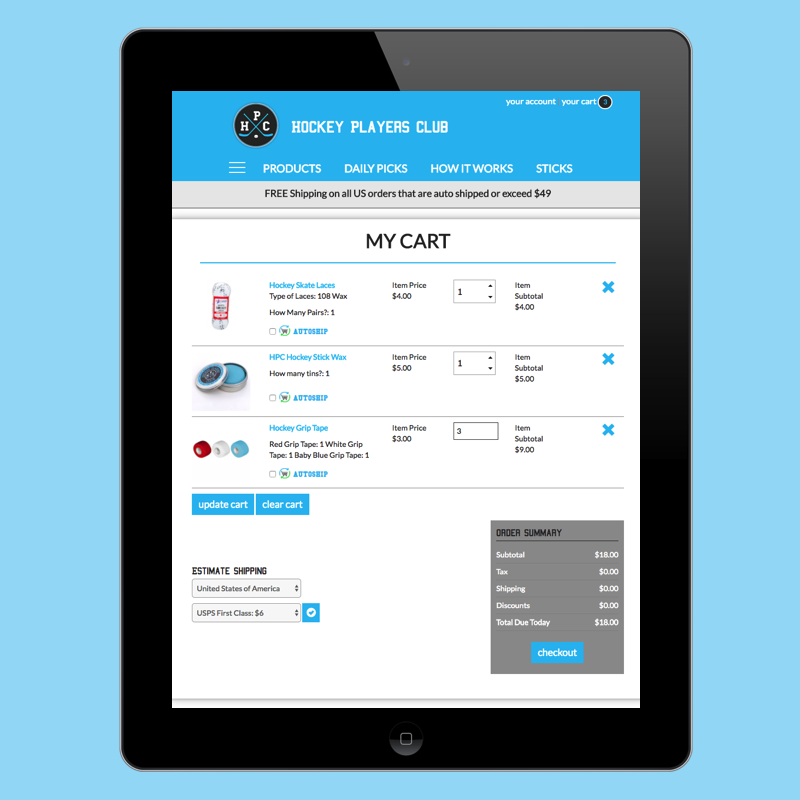 Thousands of hockey players around the world are saving time and money with the HPC! Select “Autoship & Save” on the detail page of one of our tape packages. Select the tape and schedule that works for you, from monthly to every six months. OPTIONAL: Add any of our amazing hockey products to your tape order. Select “Autoship” to create an auto-delivery of that item. Sit back, relax, we’ll take care of the rest. Shipping is always free for US Autoship orders. There is no commitment once you subscribe. 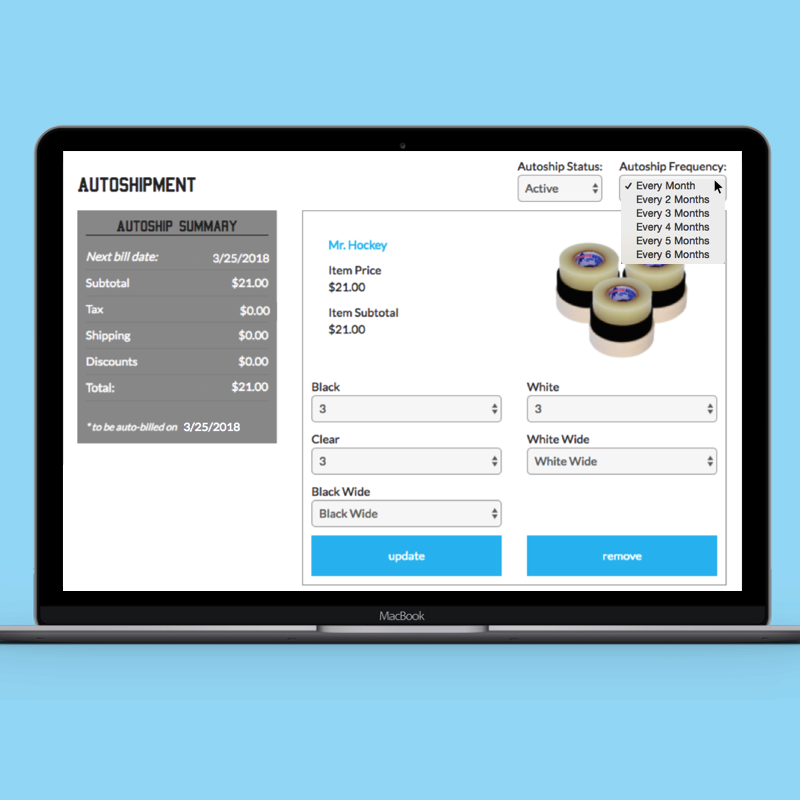 In advance of each autoshipment, we will send you a reminder email showing the items and prices to be included in your upcoming delivery. Skip your deliveries, pause or cancel your autoshipments at any time by visiting Manage Your Autoshipments. Not into commitments? No problem. You can purchase anything we sell without subscribing to future shipments! Just want to pick up a pair of laces, a tin of wax or a few rolls of grip tape? No need for more stick tape or shin pad tape? We’ve got you covered! You can purchase any HPC product without a tape subscription.